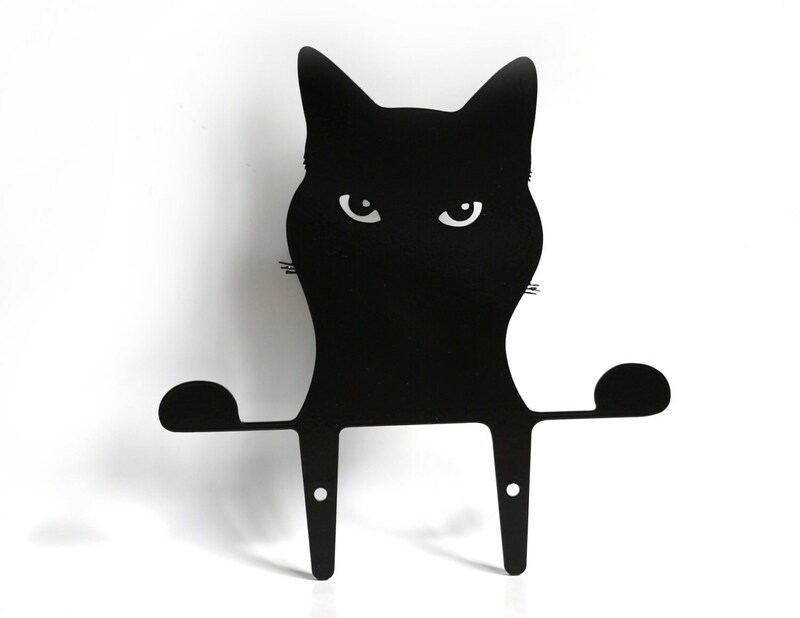 This cat is watching you ! 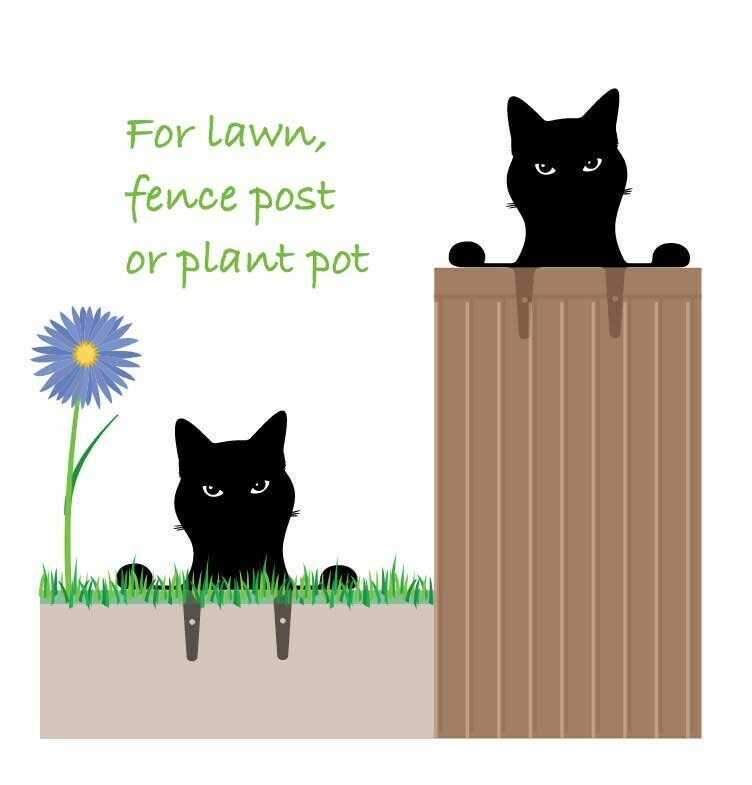 The Peeping Tom Cat lives in your garden - in the ground, in a plant pot or screwed to a fence or balcony. 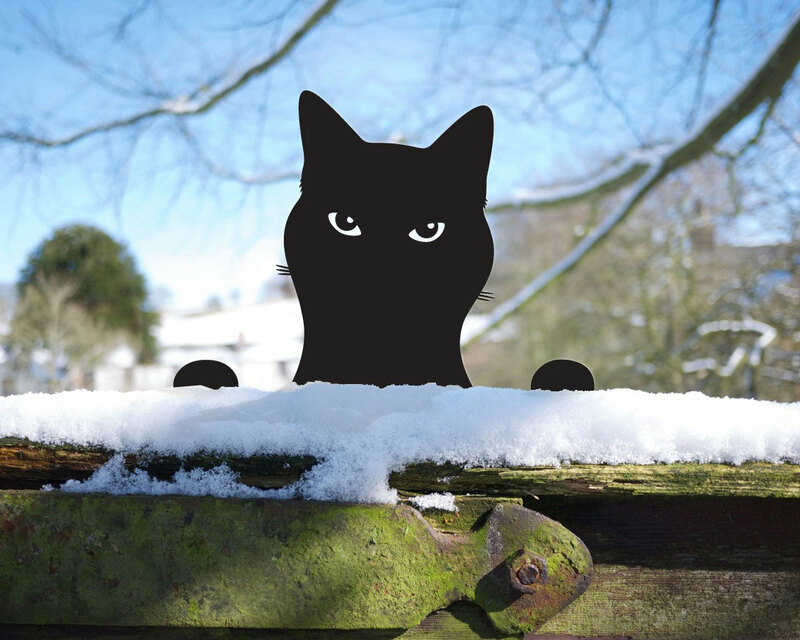 If you're a crazy cat lady, a cat lover or meow-sician this peeping tom garden cat is purr-rect to brighten up your outside space. I'm not kitten you ! 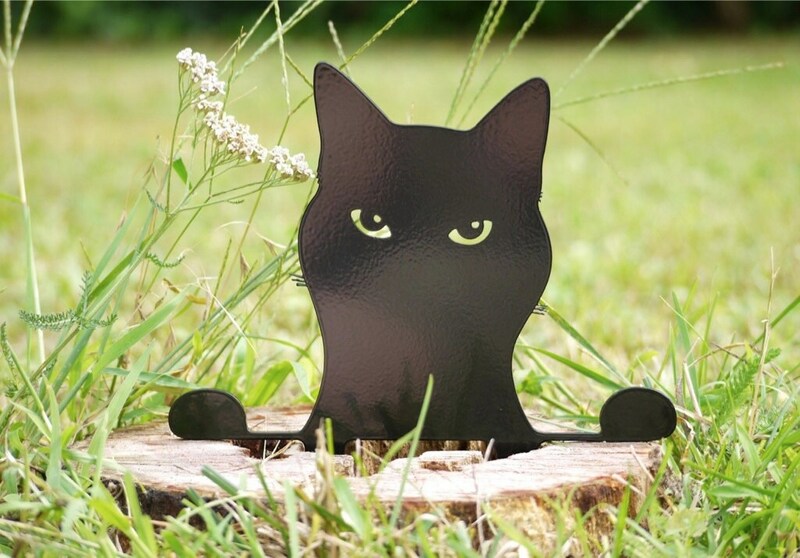 He / she is made from 2.5mm powder-coated black steel and is suitable to go in the earth between the flowers or into the lawn. Exactly as advertised. Haven’t put it on deck rail yet as it keeps snowing here but cannot wait! Excellent workmanship. Fast delivery. Very secure packaging. My brother and sister-in-law--both cat lovers--were surprised and delighted to receive my Christmas gift of this peeping black kitty. I couldn't resist gifting myself with the stepping black crow, who now strides across my deck rail. Just two of the inventive and imaginative items crafted by this seller. Reasonable shipping cost and time from across the pond, too. Thank you! Wonderfully done excellent for my folks garden. Stunning!! Details are so cute. Love these. Shipped super fast! So cute! Love it! Thank you for making such a whimsical item.